Update: Apple’s online storefronts now appear to be back online and working as normal, with sign-ins and updates working on mobile and desktop in testing, and Apple’s Service Status page reporting all clear. Apple’s digital content stores, as well as the iTunes Connect developer portal, are currently experiencing issues around the world, as customers in several countries have been unable to complete purchases, run updates or login for multiple hours now. Apple’s service status dashboard still shows a green status indicator across the board. We’ve been able to replicate the error among staff members in multiple countries, and have contacted Apple to find out what’s wrong and when we might expect a resolution. We’ll update this post when we know more. Update 10:05 AM ET: Apple has updated its service status dashboard, indicating that the iTunes Store has been experiencing purchase failures since a little before 5 AM ET. That remains unresolved, while iCloud sign-in failures should be fixed. 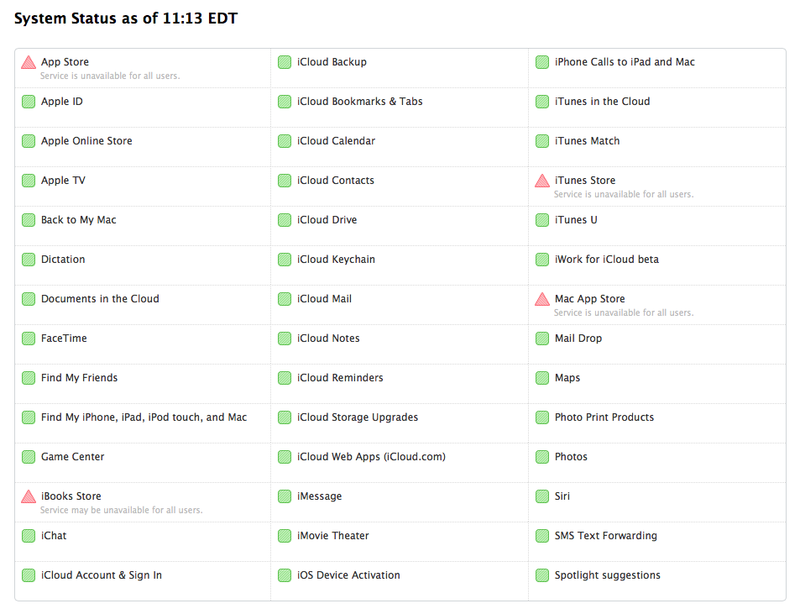 Update 11:15 AM ET: The outage continues into its sixth hour, with no updates from Apple beyond a change in condition from yellow to red on the system status page. Users worldwide still report being unable to update or purchase apps, music, movies and books on all platforms. Update 12:23 PM ET: The outage continues, into its seventh hour now. There’s a screenshot below of the most common error message for those trying to make purchases on desktop. Still no change in Apple’s service status page or official word from the company. Update 1:28 PM ET: Apple has provided the following statement to CNBC, explaining that an internal DNS error is the cause behind the prolonged outage, which continues now well into its eight hour. Update 3:02 PM ET: That’s 10 hours of ongoing outage now. The only word from Apple remains the apology quoted above. Update 4:45 PM ET: Just under 12 hours later, the App and iTunes Stores appear to be back online and working as normal. 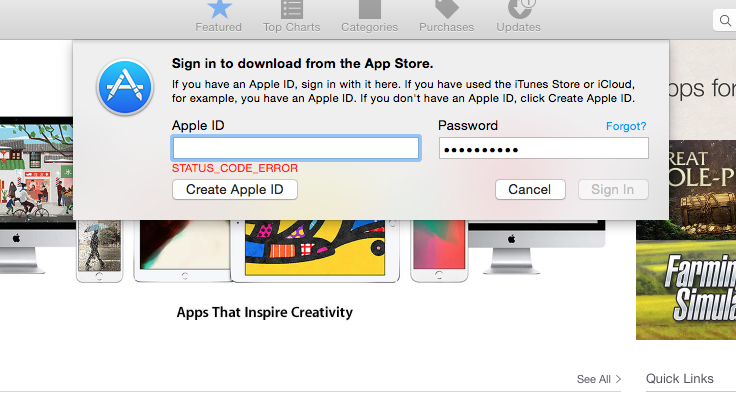 iTunes Connect also appears to be letting developers log in once again.